Can 6 tech students help a telecom giant innovate in 6 weeks? 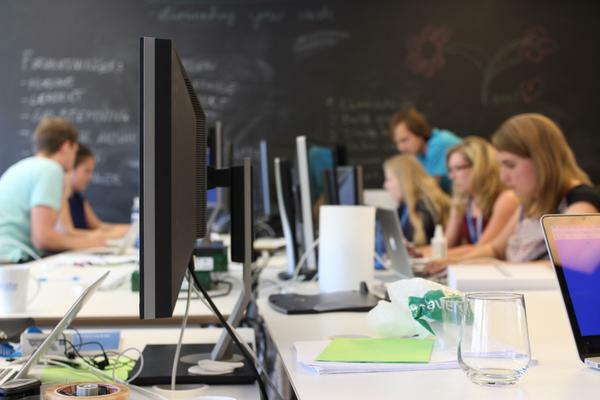 Telenor Norway wants to solve real problems for real people. 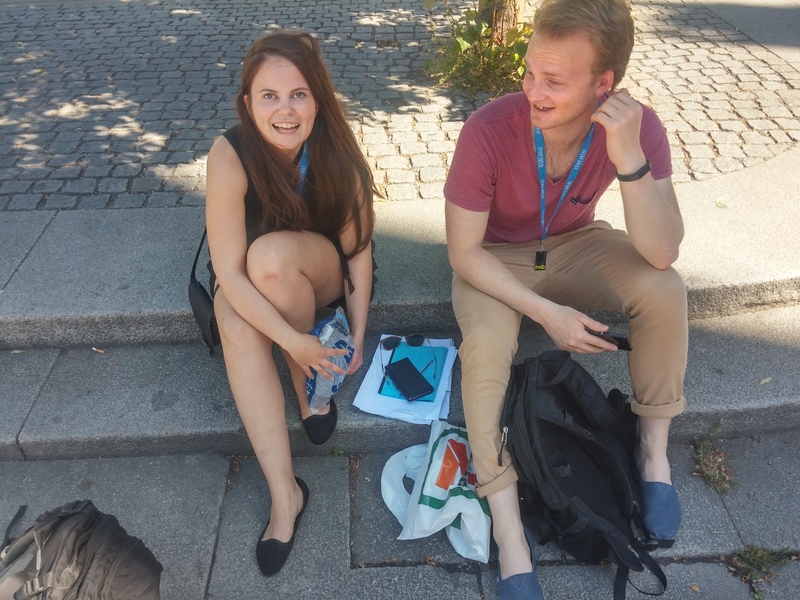 As summer interns in Iterate – the lean startup consultancy in Norway – we’ve been hired to build, measure, and learn how to unleash the power of future telco technology. Every week we blog about what we’ve learned. Monday starts bright and early out at Telenor. This is our first full day at Fornebu without our mentors holding our hands, but we quickly get the hang of it. 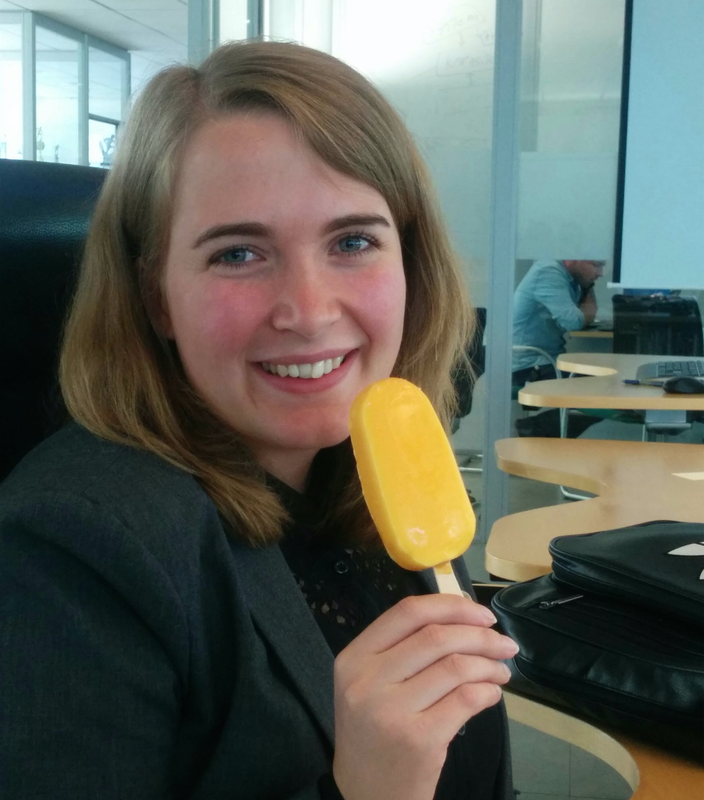 While Team Phone gets to know Telenor Digital, we over at Team Support are included in the ice cream round. 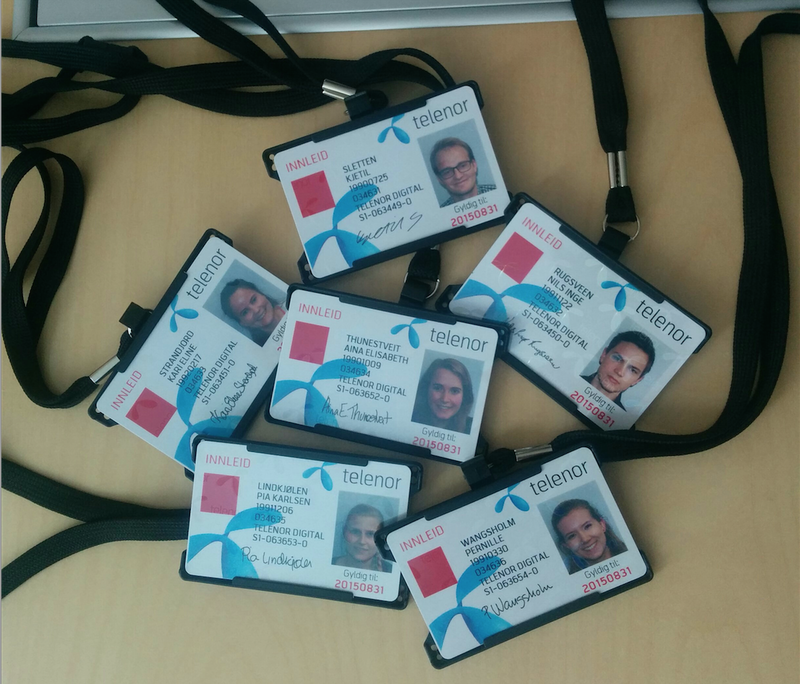 It turns out Telenor customer service received great results last month, and that deserves a small celebration. 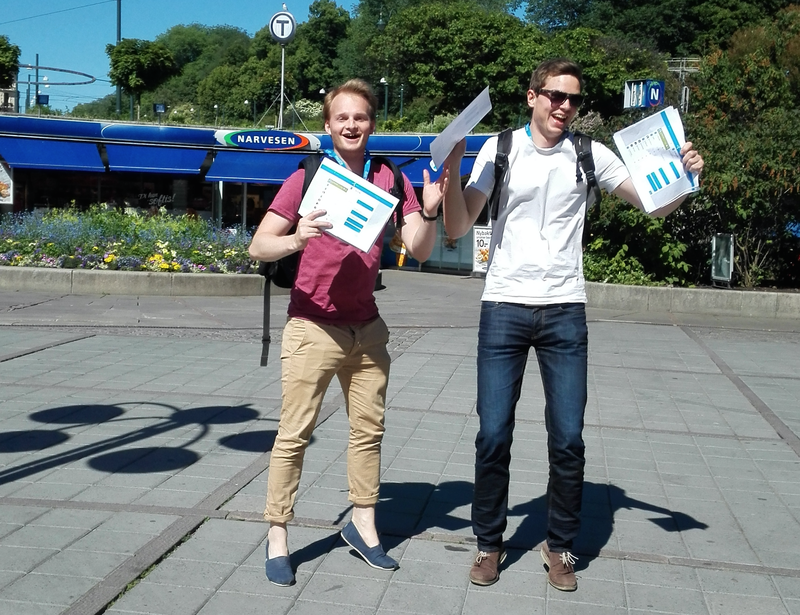 In good spirits, Team Support put out their first survey and Team Phone has scheduled their first customer interview! 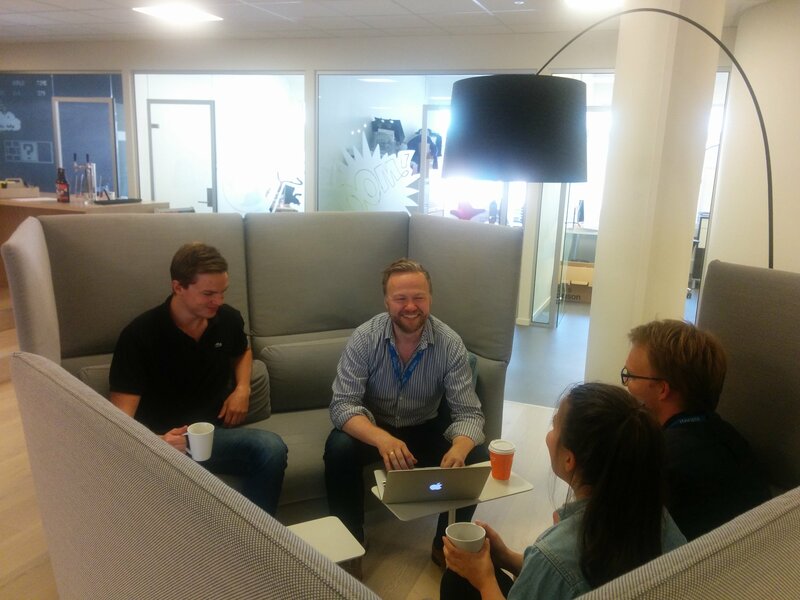 The week continues, and Team Phone has their first test user in the form of Telenor interns. Team Support gets to visit Telenor Eksperthjelpen, and listen in on some of the calls coming in. Although these guys take on different cases than the regular support team, getting to listen in to actual customers and their needs is invaluable. Big company bureaucracy came through, and we got our key cards after 4 days on site. Team Phone actually got to hold a presentation for the higher-ups in Telenor today, which was pretty cool. Later in the day both teams presented their findings for Telenor and our mentors, and everyone was impressed. Yay! Now we just have to keep this up throughout summer. Everyone knows Norwegians flock outside when the sun comes out, and when Wednesday rolls around with 30 degrees and sun, we all took to the streets. Taking advantage of the situation, Team Phone finds customers quickly. 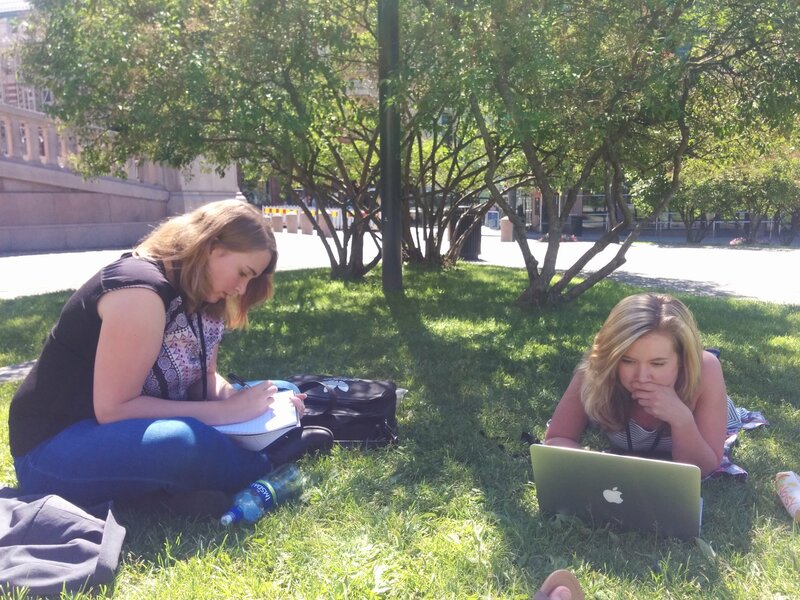 Meanwhile Team Support had a working lunch on the grass in front of Parliament, preparing for the visit to Telenor’s customer service offices at Gjøvik on Monday. This is what happens when you get too enthusiastic. Luckily the summer team was there to help and got ice. Nothing broken, only badly sprained. After a long day outside we had all the interns back to the HQ, and could start learning about webRTC. By the end, we had created our own mini-appear.in! Thursday brings yet another sunny day, and frustration looms for Team Support. Our best ideas for tests and experiments have all been turned down, deemed too complicated or time consuming. These things are expected when working with such big systems, and we just have to pick ourselves back up and think of something else. Lean is all about learning quickly and cheaply, so now we just have to come up with something new. Luckily Team Phone is there to support us as they spend the day analysing data and getting to know their code base. The day ends with a second workshop, this time on React. React is both exciting and useful, especially for Team Phone who will be using it in their prototype. It’s bright and early Friday morning, and Team Support has hit another wall. By lunch we have a moment of clarity, and found a way to work and test completely on our own system. No more waiting for some system to roll around or someone to have time for a scheduled meeting. Luckily they say it’s good to hit a wall quickly in a project. It usually prevents you from hitting one later on. Meetings with our mentors guide us all back on track and make sure we know the way ahead. Both teams have learned a valuable lesson this week. Working so closely together makes it easy to compare the two projects, making both teams feel the need to “catch up quickly” in one area. After our meetings with Anders we realise just how different the two tasks are, and that there really is no point trying to compare or compete. The whole process is about learning as much as we can about our customers and their problems. For Team Support especially, the point isn’t to get as far ahead with a prototype as we previously assumed. The stress now put aside, we can get back in the game with a better focus. 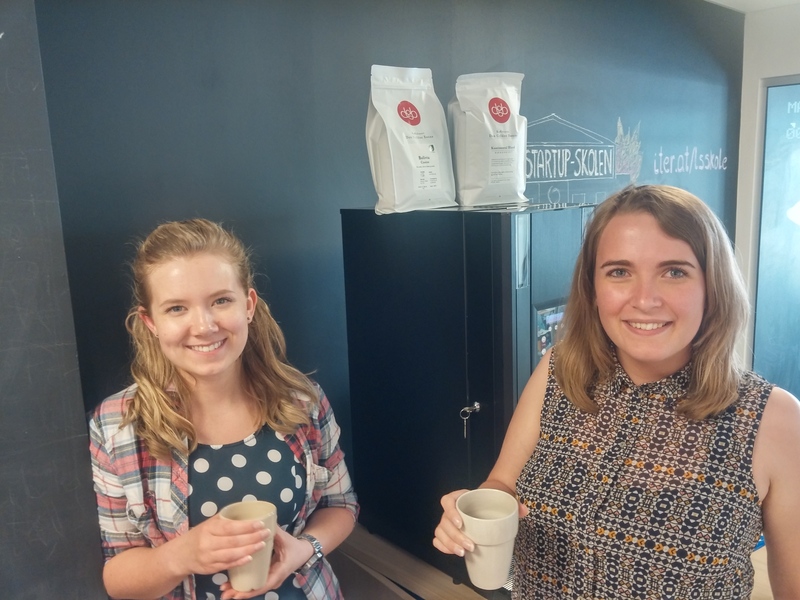 With a new coffeemaker at Iterate HQ we are filled with new energy and motivation. Both teams are ready to take on the challenges of the next 4 weeks! 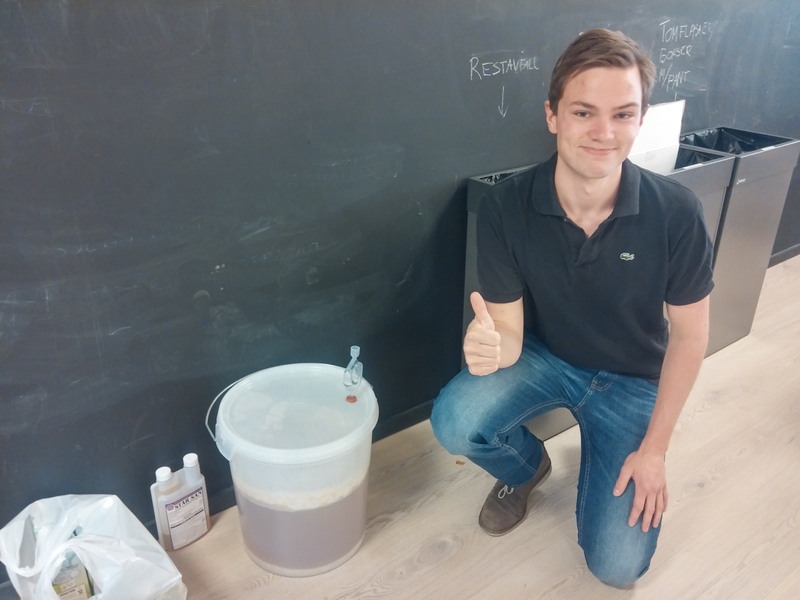 Last but not least, the weekly beer-update! The beer itself is happily yeasting away in the kitchen, while we have been working on a name and a label. The beer shall henceforth be named… På Grensen til Blond. Our blonde ale brewed at Grensen 9 will have an appropriate name, especially in Norwegian. Pay attention to our twitter feed for daily updates on the team, and maybe even a closer look at the first beer label. This entry was posted in Entrepreneurship, Lean, Lean Startup, Technology. Bookmark the permalink.